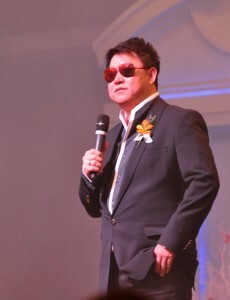 From Thailand, Chavich Kim is one of the most-skilled top MLM earners in the industry today. He is a millionaire entrepreneur, and he earns around $95,000.00 per month in residual income with Unicity network marketing business. He is also the company’s 1st Triple Diamond Presidential Director. Chavich is a Triple Diamond member of the Chairman’s Club. Did I mention that Mr. Chavich drives a Lamborghini? Pretty cool, but even better when you learn that he received it from Unicity for reaching the Triple Diamond status. In his past life, Chavich says he loved fast supercars. He was born in Bangkok, and his family operates a construction business. Of course, his father wanted him to follow in his footsteps and go into the family business. However, Chavich wanted to have his own business where he wasn’t an employee. Since joining Unicity and network marketing, Chavich’s life is quite different than what he expected. Before, he had to work very hard, but now, he lives his dream life. Check out Brad here as he talks about pounding the pavement in his own way! Now – back to our story. The first thing Chavich wanted in his direct sales career is financial freedom, and he got it. Within two years with the Unicity business, he was able to retire. He likes the fact that Unicity lets you achieve success quickly and have long-term income. Now that he has accomplished his goals, he wanted to help others become MLM millionaires. Chavich wants to make life better for the people in Thailand. A lofty goal but an admirable one, for sure! Chavich loves it when one of he sees one of his team members achieve his or her goals. He enjoys seeing their lives change for the better. This is what brings him true happiness. His personal story has motivated many Unicity associates around the world and in Thailand. His accomplishments are said to be a true testimony to the success people can have in relationship marketing. But in order to be a top MLM earner, you have to work hard, be devoted, and have passion. You also want to enroll with a multi-level marketing company that you are comfortable with, believe in, and have a compensation plan in which you can get the long-term wealth you desire. For Chavich Kim, also known as Khun Joe, he realized earlier on that traditional jobs just weren’t for him. He is a natural-born leader, and he had the power to transform his life and the lives of others. Unicity International is a direct selling company founded in Orem, Utah. Unicity MLM business has been ranked as one of the Top 500 Privately-Held Companies in the US. The aim behind Unicity was to have markets all around the globe by being the first company to successfully sell herbal supplements. As a result, thousands of individuals have found time and financial freedom with Unicity, regardless of education level or previous marketing experience. Unicity is basically the merging of two companies, Rexall Showcase International and Enrich International Royal Numico created Unicity Network and Richard Bizzaro served as CEO from 1999 to 2002. Unicity Network was sold by two members of management, and its name changed to Unicity International in 2003. In the same year, Royal Numico diversified Unicity Network; Unicity was purchased by internal management and renamed itself Unicity International, Inc. Stewart Hughes is the CEO and has been since 2005. Unicity focuses on empowering folks, whether it is their customers, distributors, or employees. Unicity is marketed in over 25 countries worldwide. To give back to the community, Unicity has established the Make Life Better Foundation, which spreads need-based health and hope to those in needs around the world. Unicity has also help sponsor other projects and events, such as the Korea Demilitarized Zone project and an American Diabetes Association walk. Two flagship products are the Bios Life and Bios Life Slim, products that work to lower cholesterol and improve heart and digestive health. In 2011, Unicity offered a new product, Bios Life Matcha, a product containing green tea extract. Unicity product reviews are not that bad. Folks seem to say that the Bios Life products really do regulate the digestive system, reduce cholesterol, and for some, help to lose weight. On the other hand, there are those who said the products were expensive and not worth the price. Unicity states that it wants to build people up as well as build up their financial status. Its aim is to teach people that money is supposed to enhance life not just be the driving force behind it. Unicity focuses on helping people achieve professional and personal growth. Through that personal growth, distributors gain confidence, respect, and satisfaction. Unicity realizes that if your body is in poor condition, all the money in the world isn’t going to make it better. As an associate, you earn money from retail profits, meaning the purchases of your preferred customers. If one of your customers decide to enroll with Unicity, you will earn bonus money from those purchases as well. I researched to see if Unicity was an illegal pyramid scheme. As usual, there were the naysayers who believe that every MLM business is a scam. On the other hand, there were those who say that the way to build your network marketing business is to build your team. Furthermore, you have to know how to market the products on a consistent basis, not just every other day. If you don’t know how to effectively market yourself, your home-based business, and your products, you are going to have difficult time in the direct selling industry. Honey, only you can answer that for yourself! For me, I took one more plunge into the unknown and I joined up with a dynamic duo that showed me how to make real money and in less than a month, and real money is exactly what I made. But hey, don’t take my word for it, I could be a little bias, right. Check out the proof here and the results here, and see for yourself! Any questions???? Hit me up – I am always willing to help someone out if I can! Go ahead and put in your best email below and we will work to help you figure it all out!! !